Despite the fact that currently the construction market offers a huge amount of various floor coverings, natural wood parquet remains the most popular for those who want to see their home respectable and solid. A floor made of wood flooring is quite expensive. This also applies to the cost of the work, as they must be performed by true professionals. The design of the floorboard. 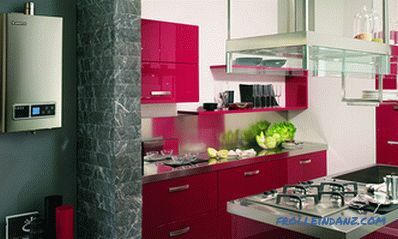 Such material, as well as its installation, has special requirements that must be strictly observed. However, laying your own parquet boards is not as difficult as it may seem at first. Parquet board made of natural wood, unlike linoleum, requires protection from moisture, so it must be stored in a dry form on a flat floor. Packing boards should be well closed. Before starting to work, they should be held in a warm room for at least two days. If it is planned to lay the parquet in a new room, before installation it is necessary to carry out measures to reduce the humidity in it, that is, to ventilate well. In the cold season it is necessary to connect the heating so that the temperature in the room is at least 20 degrees. 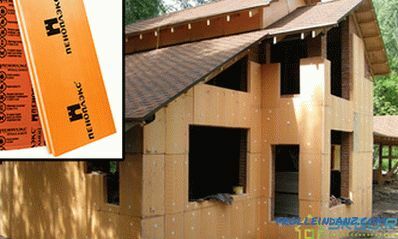 If the installation conditions are not followed, the material may crack or delaminate. 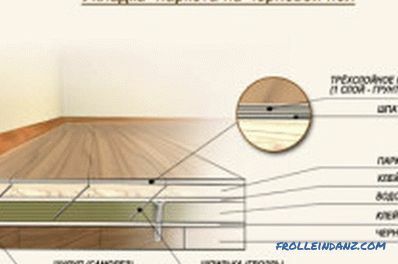 The technology of laying the floorboard. Laying floorboard begins with the preparation of the base. Linoleum or carpet for these purposes are not suitable, as they are too soft. They must be removed. The base can only be a solid, dry, flat surface - concrete or wood flooring. 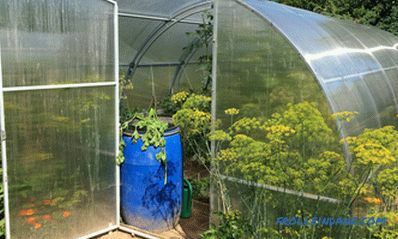 It is not allowed to exceed the base moisture level of more than 80%, and deviations from the plane are more than 3 mm for every 2 m of the floor length. Correct unevenness can be through special leveling mixtures. The floor is then sanded to make it smooth and cleaned with a brush or vacuum cleaner. At the next stage of laying the board with your hands, a waterproofing material is put on the smooth clean floor. It is necessary in order to reduce noise and humidity. It is best to use a combined substrate. Since the installation process of parquet, as compared with the linoleum flooring, is more complicated, it is necessary to purchase an instrument. This - roulette, ruler, pencil, hammer. You will need a cord for marking, a special mounting blade, a drill and PVA glue. Parquet boards are equipped with a locking system. 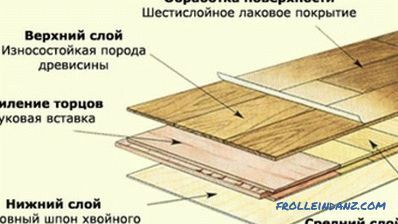 Such a device allows you to glue the grooves of the boards, which is recommended when the room is in contact with the street or it is assumed that there is an increased load on the floor. Since the parquet boards are made of natural wood, they have certain properties. Wood has the ability to expand or contract depending on the ambient temperature. Considering this feature, when laying parquet, it is necessary to make gaps between boards and stairs, walls and other stationary structures. This gap must be at least 1 cm. This allowance is also made between the parquet and furniture. If the width of a room is 8 meters or more, perform seams, called compensatory, which are subsequently masked with a threshold. Parquet boards are laid from left to right in the direction of the light falling from the window. If the length of the board is greater than the length of the room, it is sawn off with a saw with fine teeth, leaving a gap of at least 1 cm to the wall. 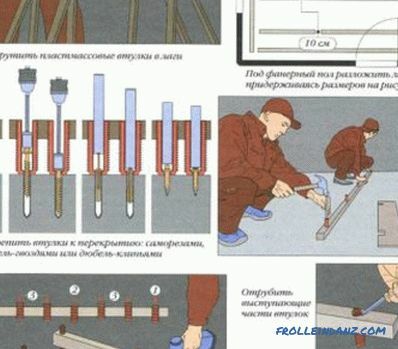 To avoid gaps, this operation is performed with a hammer, slightly hitting them on the floor in the area of ​​the end seam. The subsequent rows are formed in such a way that the joints of the adjacent boards do not coincide. Parquet can not be mounted using force. Boards should "hang" in the air. Next, tap on the longitudinal side of the board until the board comes down and takes its place. Having installed the second row of parquet boards, it is necessary to check with the help of a cord how straightforward the rows are. Parquet installation is carried out to the end of the room. If the last row does not fully fit in width, it is cut out, not forgetting to leave a centimeter gap to the wall. In order for the last row to fall into place, use the mounting blade. When installing parquet indoors, there are a number of places that require some features when working. For example, installing parquet in the doorway, you should perform a centimeter seam, which is subsequently decorated with a threshold. To prevent the boards from shifting, special strips are installed at their base. When laying linoleum such an operation is not required. 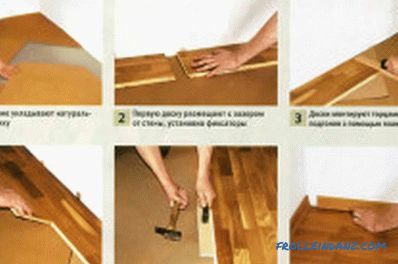 The installation of parquet around pipes deserves special attention. To circumvent them, a hole in the floor is drilled a little larger than the diameter of the pipe, cutting the board off the edge, which is returned to its time upon completion of work. After completing the installation of the floorboard with their own hands, remove the spacers and install baseboards, door trims and sills or profiles covering the expansion joints. Additional finishing for boards is not required, as it is completely produced at the factory. If during the installation process small defects appear, they are sealed with special mastic for parquet. Laying the parquet on the subfloor. If you want to level the base of the floor in an old house or repair it, it is best to use logs. Their use has many advantages over conventional concrete screed. Lags allow you to get a perfectly flat floor, significantly saving on finances. Installing the floorboard on the logs occurs quickly enough. 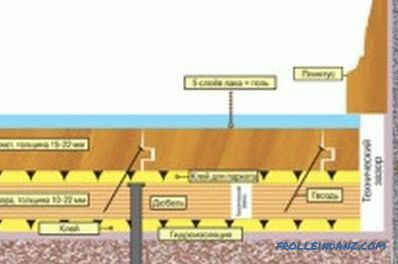 At the same time, various communications can be laid under the floor, providing protection in the room against noise and cold penetration. If earlier linoleum or other covering was laid on the floor, its disassembly is not required. First of all, after installing the lag, you need to perform a “rough” floor, which is attached to them with nails, placing them as close as possible to each other. But without removing the old coating - linoleum or boards, it is impossible to achieve a flat surface, which is necessary for the installation of parquet. Logs are made from high quality dry wood treated with an antiseptic coating that protects the material from rotting and fungus. Further, the boards are laid on the logs, waterproofing and installation of parquet. So the floor is ready. 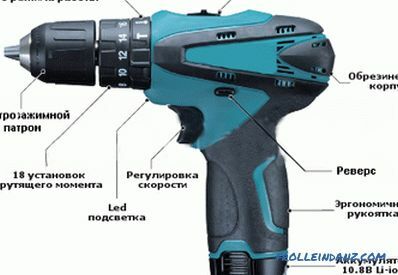 If the next stage of repair is planned to carry out any finishing work, it must be protected. It is best to use thick paper for these purposes, which can neither stain nor damage the surface of the parquet.